The fall season definitely means many rainy days and this doesn’t sound like much fun. But who says that the weather should destroy all of your plans and that you shouldn’t dress well again and go out. 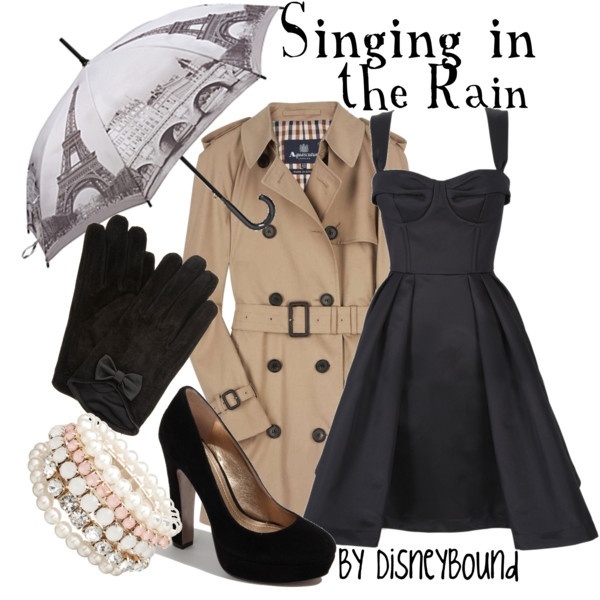 And because of that we are here for you with 19 Polyvore Combinations For Rainy Days, which we hope that you will find really useful and trendy. As we have already mentioned in one of our previous posts, there are 5 types of shoes you should wear in fall and one of them are the rain boots. Yes, as the word says itself, this type of boots are the best choice for rainy days. They will not only keep your feet warm and dry, but they will also give you a trendy look. 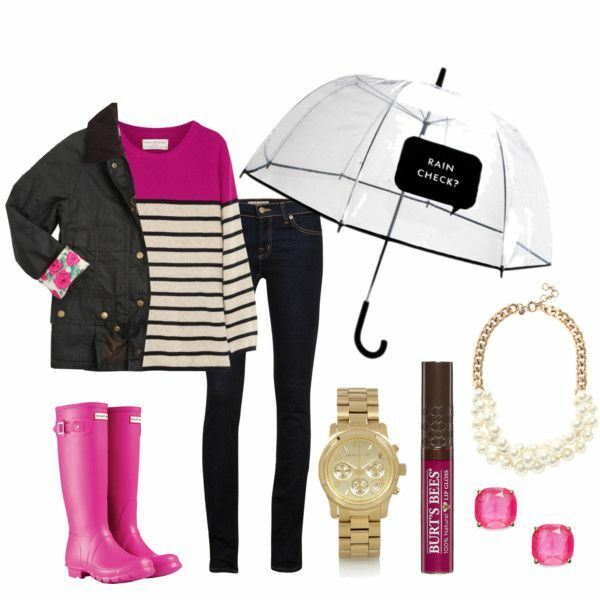 The black rain boots are the most common, because they will fit perfectly with everything. But, this doesn’t mean that you shouldn’t go for some more vibrant color, like purple, red or maybe even pink that will bring some light in the grey fall days. Also, oxfords are a good choice for footwear during the rainy days, especially the leather ones. 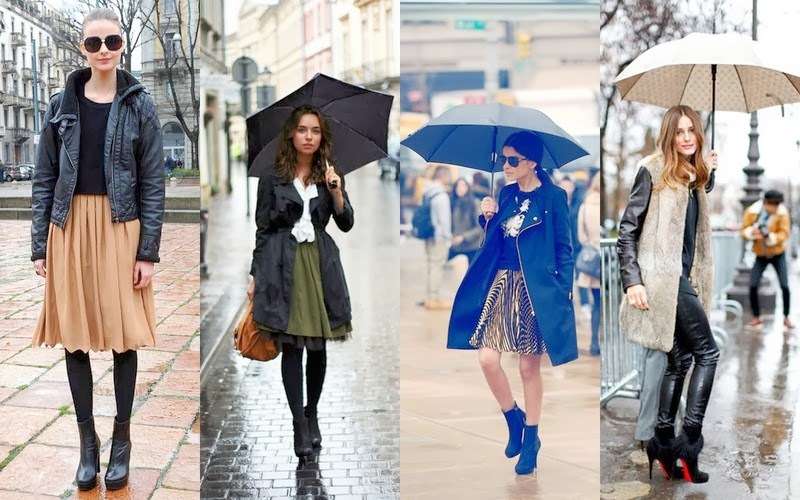 And when it comes to the outerwear, do not forget to add a trench coat, rain coat, puffer vest and puffer jacket. 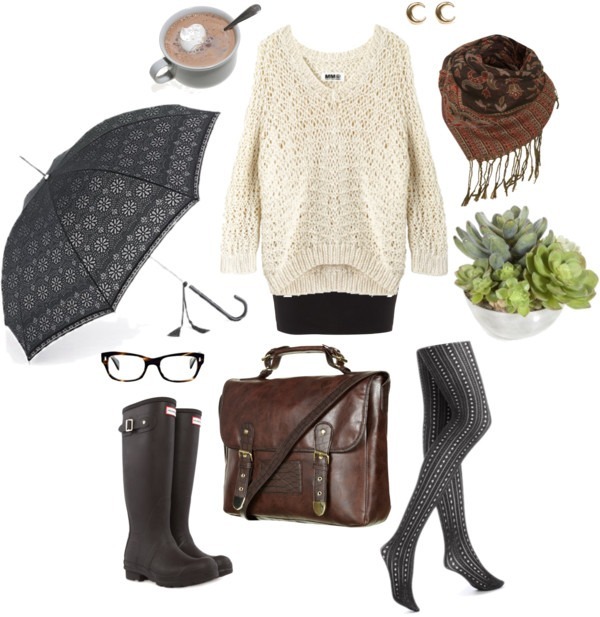 Scroll down and check out our collection of polyvore combinations and try to copy them for the upcoming rainy days. Enjoy and stay up to date with us!